Greasy road grime, diesel splatters, environmental and industrial fallout all combine to leave a car dirty and left in situ, may cause lasting damage. 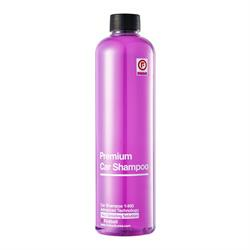 Some car shampoos use astringent chemicals to remove contamination but over time these can strip away the paintwork’s natural oils leaving it looking dull and tired. Fireball Premium Car Shampoo is different. The pH-neutral formulation is kind to paintwork, whilst the rich later effortlessly removes harmful contamination. The super-slick suds provide high lubricity for wash mitts, allowing them to glide easily over the surface.